Private tells Marlene, Mason, and Phil of a past encounter that he and the other penguins had had with the evil dolphin Dr. Blowhole, but Marlene does not believe his tale. He tries to then show her a file on the mission, but is stopped by Skipper initially before Marlene begins to look at the documents and is unimpressed by them. Julien then comes by, telling everybody that he “is” to be a spy. Soon after, the zoo opens for the day and the animals disperse to their respective habitats. 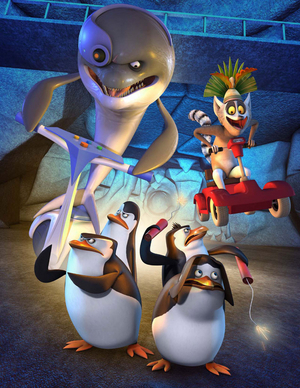 Mort is soon seen to be bound by seaweed, and Julien is seen being taken away by an unknown creature; it is soon revealed that Dr. Blowhole had been spying on the penguins, and he appears to the penguins on their TV, informing them that he had captured Skipper’s “best friend,” Julien, and that he will “sleep with the fishes” if they try to interfere with his plans. The penguins soon determine the location of Dr. Blowhole’s lair, Coney Island, and set off for it in the air using soda bottle jet packs. Before they arrive, Julien begins sucking-up to Dr. Blowhole, suggesting that they can work together, and when the penguins do arrive, they are soon captured. Dr. Blowhole then reveals to them his plan to use a sinister device to melt ice in the North Pole in order to flood the Earth as a form of payback to the humans who had made him perform tricks through a ring of fire. 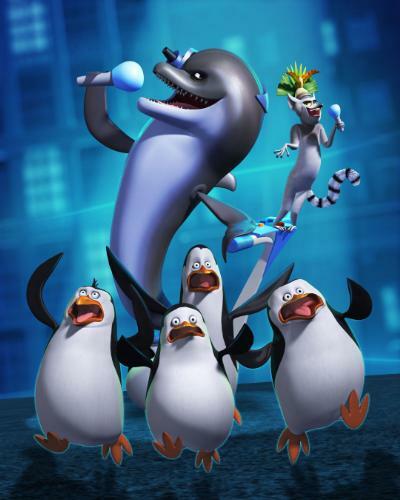 Skipper vows to stop him, but Dr. Blowhole reveals that he has an army of lobsters that will fight against Skipper and his men. Eventually, Dr. Blowhole’s “Ring of Fire” is activated, and Kowalski inadvertently keeps turning up its heat output whilst trying to deactivate it. 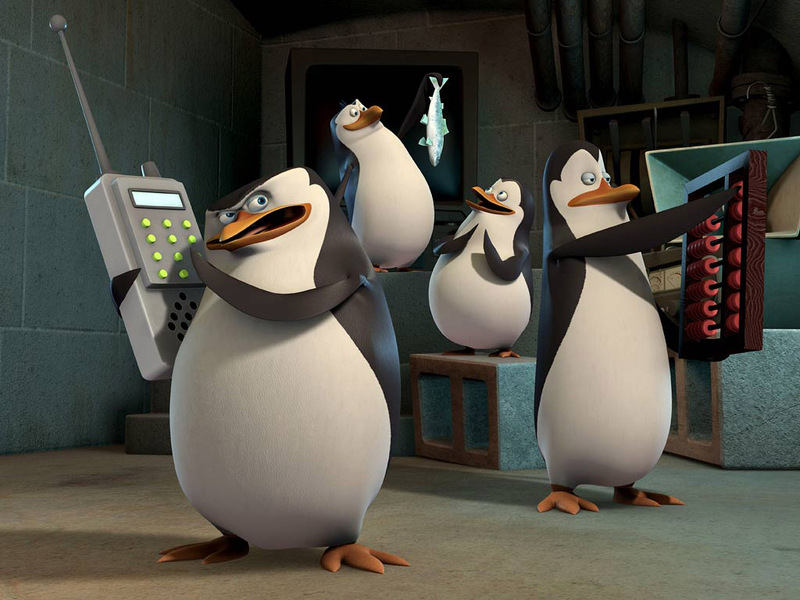 Julien then reveals to the penguins and Dr. Blowhole that he is a double agent – “a good guy spy” – and proceeds to press the correct button to turn off Dr. Blowhole’s contraption. Defeated, Dr. Blowhole escapes the lair inside of a giant bubble, swearing further revenge in the future. Once the group gets back to the zoo, Julien tells Marlene of the mission, but she still thinks that it is far-fetched and does not believe it. 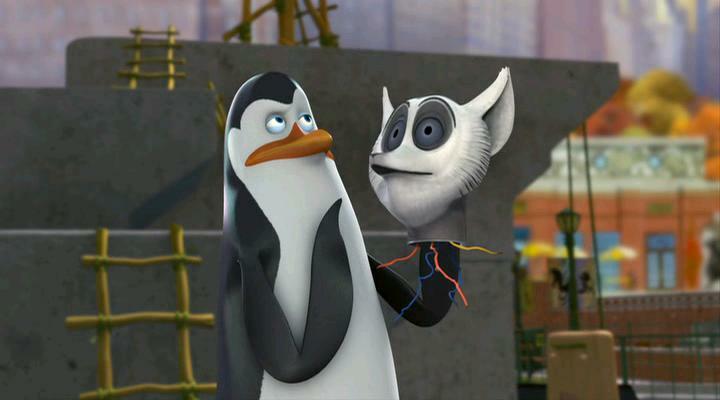 Skipper then makes Julien an “honorary penguin” for his efforts during the mission.